Your wedding is a happy and sacred occasion and we rejoice with you as you plan for your day of faithful promises. Christian marriage is a wonderful expression of grace and hope between two people. In the Presbyterian tradition, we believe it is a covenant blessed by God through which two people are called to live out lives together in witness to the love that God bears for the world. 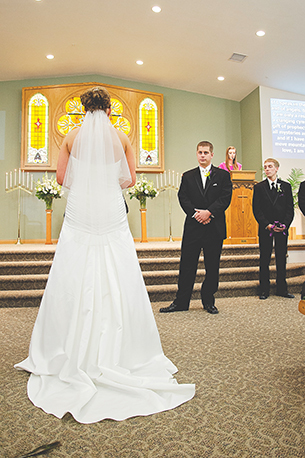 Marrying in a Christian setting, you make your vows to one another before God in the atmosphere of worship and you begin your marriage by making a conscious statement of your faith in the great goodness of God in Jesus Christ together and individually. We are excited that you are considering using First Presbyterian Church to help you celebrate this important day. It is not necessary to be a member of this congregation in order to be married here; however we ask that you respect that this is not a Hall being rented, but a House of God entered for your celebration. 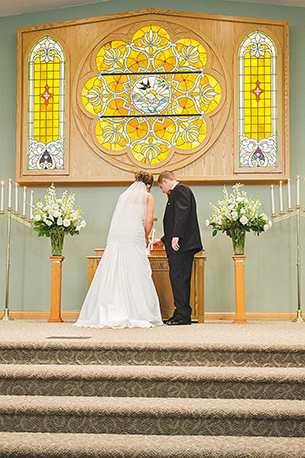 The use of the facilities of this Church is not intended merely to be a place to be married, but rather, a setting for sacred worship that results from serious thought, planning, and preparation by the participants. 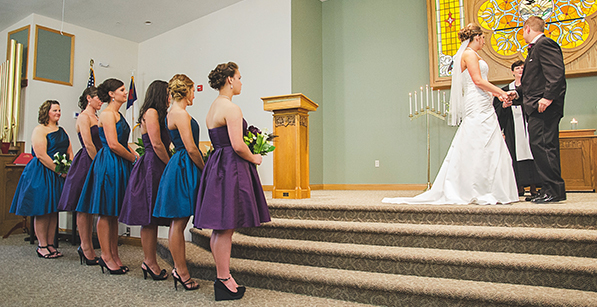 The following guidelines governing Christian weddings at First Presbyterian Church are intended to assist you in your planning and to ensure that the ceremony celebrates the gift of marriage by glorifying God. It is possible conditions will arise that call for special attention. These can be discussed and resolved by meeting with the pastor. 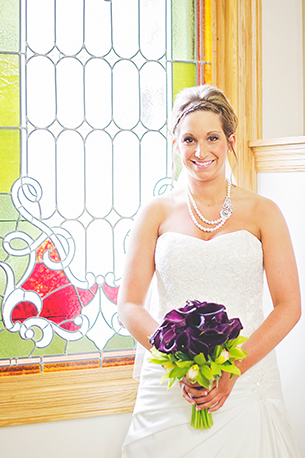 We want your wedding to be a joyous celebration and will do our part to make that a reality. Thank you for considering our Church as a location for your wedding. Please download the Wedding Policies document and contact the church office to arrange a time to see the Church: 309-742-2631.